RBI board is likely to sign off on terms of reference of the committee that will look into the issue of transfer of surplus RBI reserves. 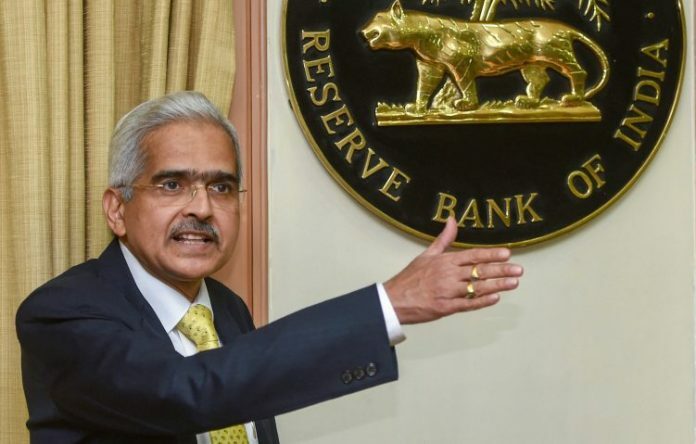 New Delhi: The Reserve Bank of India (RBI)’s board under newly-appointed governor Shaktikanta Das, set to meet Friday, is unlikely to take any major decisions relating to lending norms and providing relief to banks under the Prompt Corrective Action (PCA) framework. Sources said that the board will scrutinise the Action Taken Report on the previous meeting that was held on 19 November and is likely to set another date — either later during the month or early next month — for the next meeting. However, it is expected to sign off on the constitution and terms of reference of the committee that will look into the issue of transfer of surplus RBI reserves to the government. With Das promising to engage stakeholders to determine if there is a liquidity crunch, the government is hopeful of some reprieve on the liquidity front in the meeting. So far, citing market liquidity data, RBI has maintained that there was no systemic liquidity problem necessitating a special refinance window and that the liquidity crunch was limited to a few non-banking finance companies (NBFCs) that were not prudent in their borrowing and lending. The board meeting Friday comes after Urjit Patel’s sudden resignation as governor Monday over increasing differences with the Modi government, and the subsequent appointment of Das a day later. In his resignation letter, however, Patel cited ‘personal reasons’ for his decision. The relaxation sought for weak banks under the PCA framework may take longer than anticipated as the matter was referred in the previous meeting to the board of financial supervision that is headed by the RBI governor, said a person familiar with the development. Relaxation in PCA norms for weak banks was one of the key demands of the government, which felt that these norms are adversely impacting the lending capacity of banks, especially to the politically crucial small and medium enterprises (SMEs). Eleven of the 21 state-run banks are under the PCA framework of RBI putting restrictions on their lending. The RBI, on its part, countered the government’s argument. As per RBI data, 10 banks under PCA had met the priority sector lending targets for micro enterprises at 7.5% of loans as of 2017-18. Das is meeting Mumbai-based state-run banks Thursday to get a feedback on the issues facing them. PCA banks are expected to further push for a relaxation at the meeting. Market participants are hopeful that the new governor will be more communicative and sympathetic to their concerns. But with the RBI departments and deputy governors strongly defending the existing stance of the central bank vis-a vis liquidity and the need for PCA norms, Das’ move towards a reprieve for banks and NBFCs will be keenly watched.